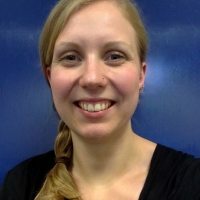 Dea joined the Better Start Innovation Hub in September 2016 as the research fellow on the Language and Communication workstream, and is based at the University of York. Prior to joining the team, Dea worked as a university teacher at the University of Sheffield while completing her PhD in the Human Communication Sciences Department. The subject of Dea’s thesis was the development of cognitive, linguistic, and literacy skills in children who are bilingual and learning English as an additional language. This project was longitudinal and followed children’s development from nursery to Year 2 in primary school, and looked at the skills that predicted children’s reading and writing. Children’s language development, and the impact language skills have on children’s literacy skills, are Dea’s main areas of interest. She is also particularly interested in bilingualism, and what learning more than one language during childhood means for how children’s language learning progresses. That BiB projects have the power to teach us what is really important to helping children to grow up happy and healthy. This means they can form the basis of real change that makes a difference to families in Bradford and beyond. A Spirograph, which creates pretty geometrical designs with a pencil, perfect for colouring in with coloured pencils. Drawing with coloured pencils, and growing plants in the garden and on sunny windowsills.